The financial logic behind the British institution’s massive expansion project from east London to Scotland is certainly ambitious, but is it sound? 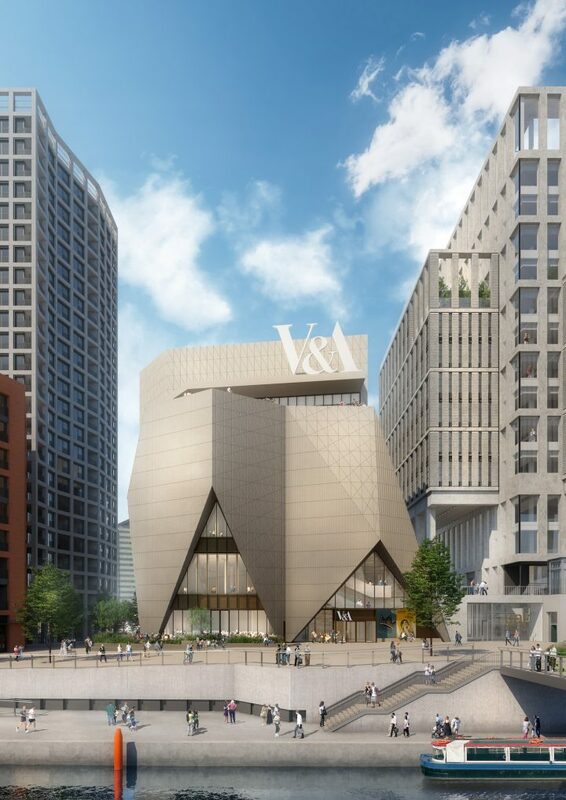 On November 1, the Victoria and Albert Museum revealed plans for its ambitious satellite location, called V&A East, in London’s former Olympic park. 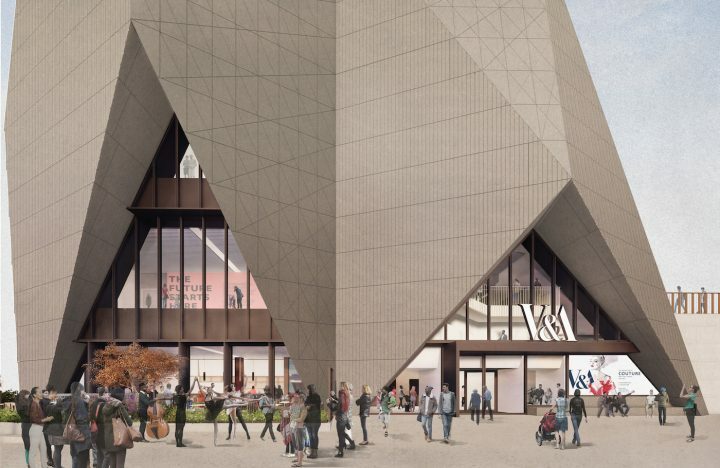 The new Stratford outpost will include two buildings: a waterfront museum and a research center designed by New York’s Diller Scofidio + Renfro with assistance from Austin-Smith:Lord and the Dublin-based architects O’Donnell + Tuomey, respectively. 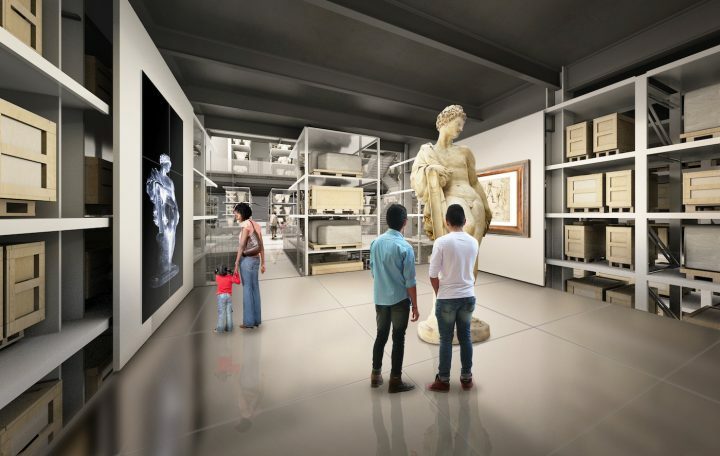 The five-story museum will have a spacious temporary exhibition gallery presenting two shows a year, with one out of every four organized by the Smithsonian Institution. In fact, the space’s inaugural show will be a collaboration between the two institutional bodies. Among the Smithsonian’s first lenders will be the National Museum of African American History and Culture and the National Air and Space Museum. In January 2015, the American institution announced that it was considering opening an exhibition venue in east London — it’s first out of the United States — but dropped its plans by summer 2016. 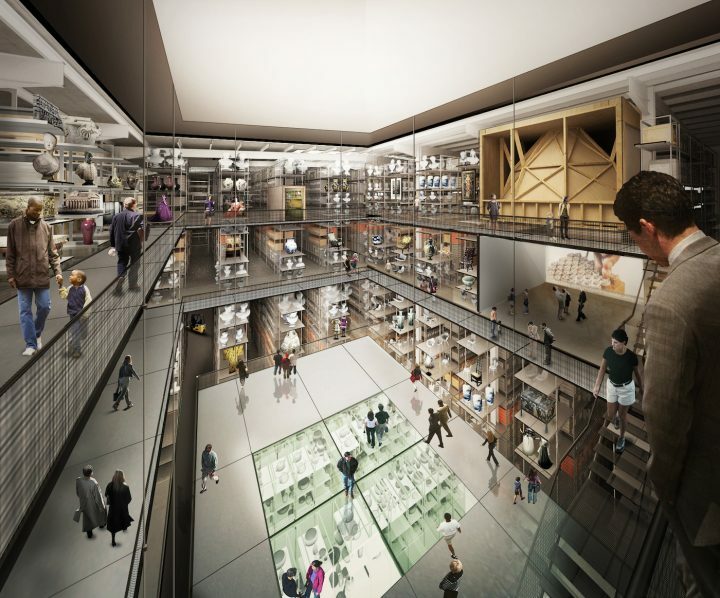 According to a museum statement, the research center’s main objectives will be to house a collection of 250,000 objects and “reinvent the idea of a museum store” after the V&A loses its current store in Blythe House, which the government is selling. The new facility will occupy Here East, the former Olympic broadcasting center. The development will likely be the United Kingdom’s largest museum project for the next decade, even with a planned completion date of 2023. The plan falls under London mayor Sadiq Khan’s £1.1 billion (~$1.43 billion) mixed-use development plan called East Bank, focusing on bringing cultural, educational, and innovative projects to the Queen Elizabeth Olympic Park area. The mayor’s London Legacy Development Corporation (LLDC) is overseeing the project and aims to raise the largest share of the funds for the waterfront plan through housing sales. The Greater London Authority has pledged £385 million (~$501 million) in addition to the UK government’s £151 million (~$196 million) and University College London’s £270 million (~$351 million). The Foundation for FutureLondon, LLDC’s charitable arm, is also fundraising from other sources. We are involved in conversations with the UK Treasury at the moment about the level of support we need. When we were invited to participate, we made it clear that we could not put our institution at risk and would need the relevant level of support. Still, he expects that V&A East will serve around 750,000 visitors per year between the two buildings. By comparison, the museum’s main South Kensington location receives 4.39 million visitors (including the V&A Museum of Childhood and Blythe House). The V&A Dundee location, which faced similar concerns about high running costs and presumptive attendance predictions is actually showing great signs of success. The £80 million (~$104 million) Scottish branch received 100,000 visits in its first three weeks since opening in September and expects to hit or exceed the 500,000-visitor mark within its first year. The museum’s rapid rate of expansion is an exemplar of how museums continue to push a more globalized vision of their reach. Recently, the Louvre in Paris opened a sister institution in Abu Dhabi. The Guggenheim arguably pioneered the effort with their Bilbao extension and subsequent economic boom story for the Spanish city — although recent attempts in Helsinki and Abu Dhabi have failed and faltered, respectively. Domestically, the V&A follows in the footsteps of the Tate, which has become a network of museums across the country subdivided as Tate Britain, Tate Modern, Tate Liverpool, and Tate St. Ives.